Arrests continue in the separatist-held city. The state security ministry (MGB) of the self-proclaimed Donetsk People's Republic (DPR) on 2 February "summoned for an interview" four founders of the Responsible Citizens volunteer organization in Donbas. Any connection with them has been lost since. Pavel Kanygin of the Russian daily Novaya Gazeta said on Facebook that the four are Dmytro and Yevhen Shybalov, Olha Kosse and Donetsk entrepreneur and well-known blogger Enrike Menendes. Responsible Citizens leader Maryna Cherenkova was detained by the MGB in the early hours of 30 January. Cherenkova contacted Yevhen Shybalov today and said the MGB asked all members of the volunteer group "to come visit for a talk about Responsible Citizens". The Shybalov brothers, Kosse and Menendes went there. Shortly before this, Menendes told Novaya Gazeta that any person can be held for 30 days in the DPR. 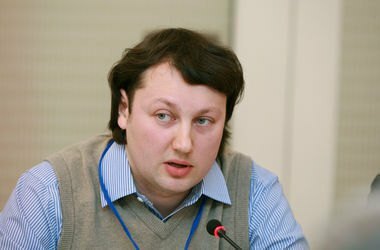 According to Novaya Gazeta, dozens of people were detained, including well-known theologian Ihor Kozlovskyy. Responsible Citizens delivers food and medicine labelled as oligarch Rinat Akhmetov's aid to remote areas of Donbas.